Shiny laminated, heat press, sealed non woven bag. 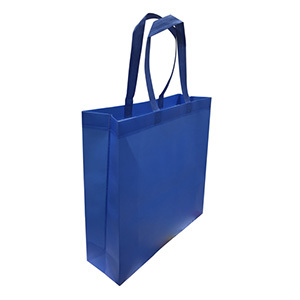 This non-woven bag has a smooth surface, lasts longer and is much stronger than normal non-woven bags. It is also water resistant. The perfect promotional bag!